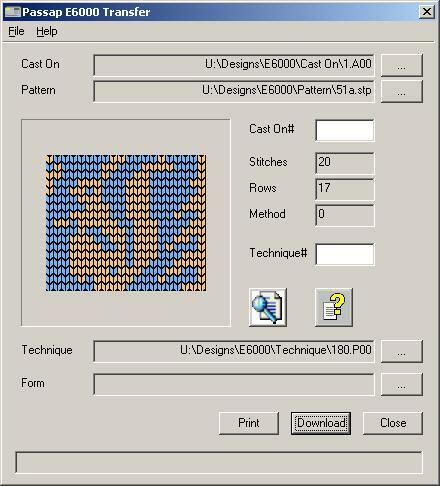 Passap E6000 Transfer is a program that enables you to download cast ons, patterns, techniques and forms stored on your PC to the E6000 console. You can browse for the cast on, pattern, technique or form you want to downlaod. 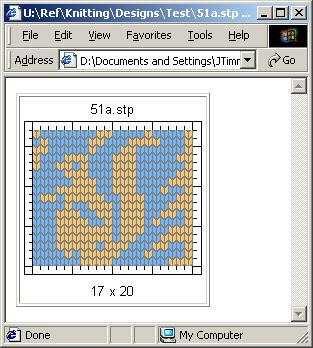 A full picture of the pattern can be shown using your favorite browser. Passap E6000 Transfer requires an E6000 Link 1 USB or an E6000 Link 3 USB to connect your E6000 to your PC.